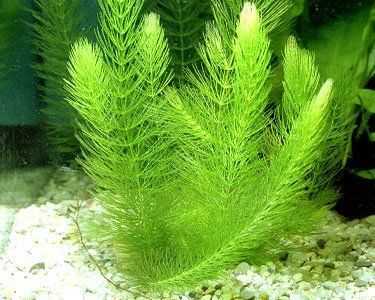 Floating aquarium plants are a popular way to visually enhance any aquarium. You can also use them to provide smaller fish with a place to hide larger more aggressive fish. There are literally dozens of floating fish tank plants for budding aquascapers to choose from, but some have more to offer than others. 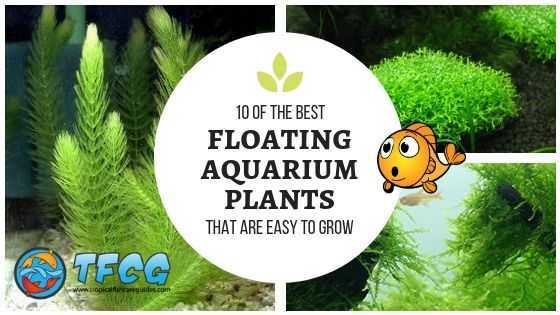 In this article, we’re going to be discussing some of the best floating aquarium plants among novice and veteran fish keepers alike. Now let’s get into a little more detail about each plant. 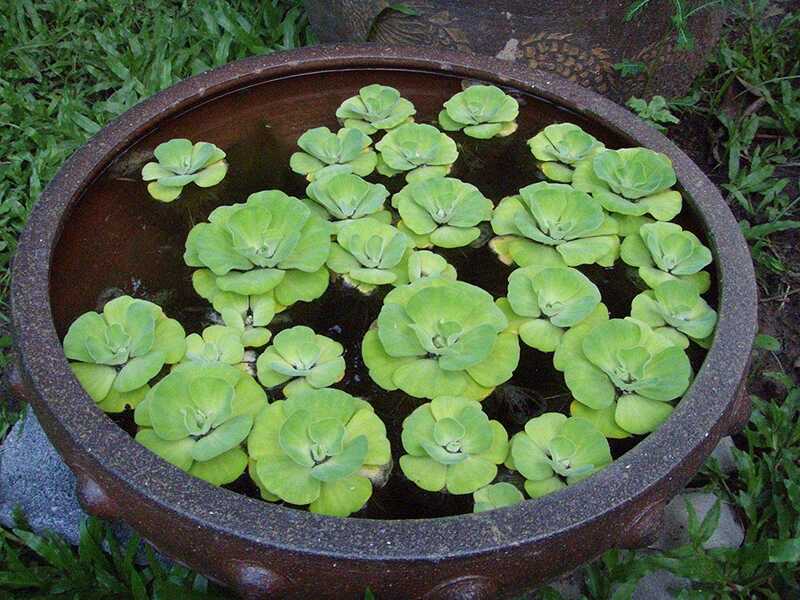 If you have a large tank with some space to spare, you should give careful consideration to water lettuce. With large rosettes and long roots, this is a visually impressive floating plant and will serve your tank well as both a source of oxygen and a piece of furniture. It is important to note that water lettuce grows fast and thick, so it will require quite a bit of maintenance if you want to ensure it doesn’t block out light or clog your filter with its roots. The leaves of this plant can wither as quickly as they grow, so yellowing rosettes should be removed as soon as they appear in order to ensure its continued well-being. Whether you realize it or not, you have likely observed duckweed floating across the top of a lake on more than one occasion. The great allure of duckweed is that it grows very quickly and requires no effort to maintain, unlike many other fast-growing plants. Because it rests at the top of the water in which it grows, it can be relied upon to provide shade and shelter to breeds of fish that require it. It is also a popular choice of snack among certain herbivores. Although it is still technically a beginner’s plant, hornwort is a little more complicated than many of the other floating plants to appear on this list. If you aren’t confident in your ability to grow and care for an aquatic plant, perhaps you should go with something a little easier, but if you are up for a challenge, hornwort should be high on your shopping list. Despite being a demanding plant, it is quite hardy and can withstand taxing environments and will not be destroyed by algae. It is important to note, however, that hornwort often sheds its needles, which may negatively impact certain vital components of your tank. Floating bladderwort is arguably the ideal floating plant for the aquarium of somebody who doesn’t have a whole lot of time to dedicate to maintenance. As a carnivorous plant, floating bladderwort feasts on the microorganisms living in the water in which it is housed, eradicating the risk of bacteria reaching dangerous numbers. This is one of the more colorful floating plants available to novice aquarists and spawns bright yellow flowers in the right atmosphere. That “right atmosphere” isn’t particularly difficult to create and requires little more than adequate lighting. 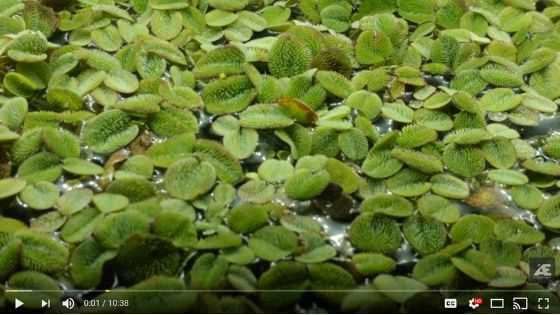 Although it doesn’t require a whole lot of effort to grow, normal salvinia can be a pretty demanding plant when it comes to maintenance. 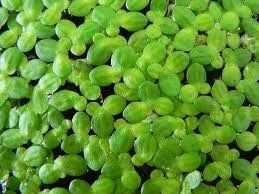 Because it can grow thick very quickly, normal salvinia may cover the top of your aquarium within just a couple of weeks, blocking out the light that is needed for your other plants to grow. A lack of light may also diminish the vibrancy of your fish’s colors. Despite its rapid growth rate, normal salvinia does not produce flowers, which has turned more than a few aquarists away from it. If you’re searching for a vanity plant that will add bright colors to your tank, normal salvinia is not the plant for you. 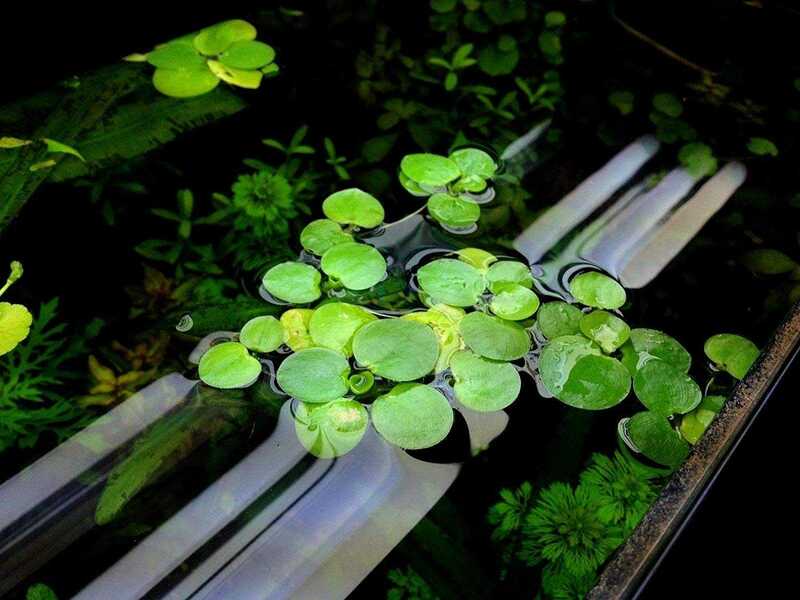 Amazon frogbit is one of the easiest floating aquarium plants to grow and, despite its simplicity, is almost breathtakingly beautiful. When properly cared for, this plant will develop eye-catching rosettes and long roots, allowing it to act as a shelter, food, and furniture. It should be pointed out that Amazon frogbit, like many rapidly growing plants, can grow quite thick and long and you may find its roots taking up far too much space in your tank. If the roots of your Amazon frogbit have grown so long that your fish cannot comfortably move around, you should consider binding the plant to a specific area of your tank, limiting its movement to a designated radius. 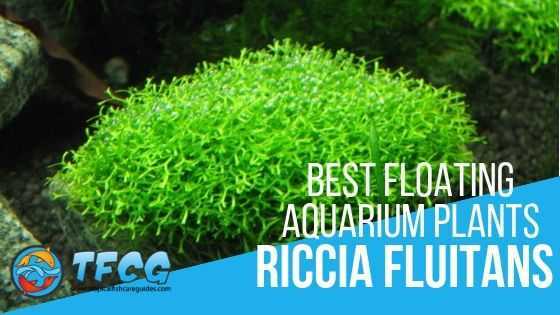 Riccia fluitans is one of the most popular aquatic plants, floating or otherwise, and is often chosen by those who keep bettas as it provides shade and food. This convenience is really the only reason the plant has achieved such great popularity, as it lacks leaves and roots, and isn’t particularly appealing to the eyes. Although it does not feature leaves or roots, riccia fluitans should be trimmed on a regular basis in order to keep it in pristine condition. If you fail to keep this plant trimmed, large chunks of it will come loose and float to the surface, blocking off far more light than it should. Rogue strands may even clog your filter, causing waste to build and water conditions to deteriorate. 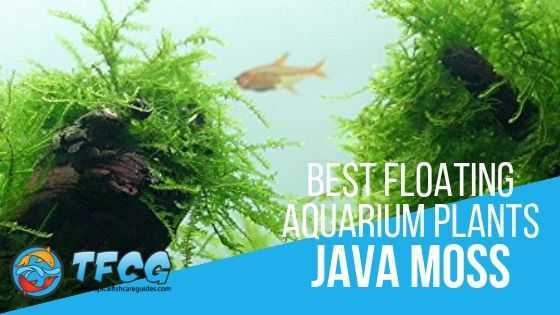 Java moss is a particularly popular aquatic plant, largely owing to the fact it is easy to grow and markedly more difficult to kill than many other aquatic plants. It can survive and thrive in a variety of water conditions and withstands temperatures all the way up to 90° Fahrenheit. Java moss is a great option for breeders as it provides fish with a safe spot to leave their eggs while waiting for them to hatch. Likewise, fry can use java moss as a hiding place from larger fish. Azolla is a surface plant and will float along the top of your water, providing its inhabitants with shade to chase as they need it. 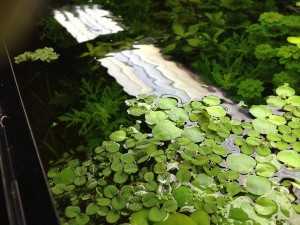 Producing a variety of colors, azolla – sometimes referred to as “mosquito fern” – is popular among pedantic aquarists who like to fill their tanks with certain colors of fish and plants. 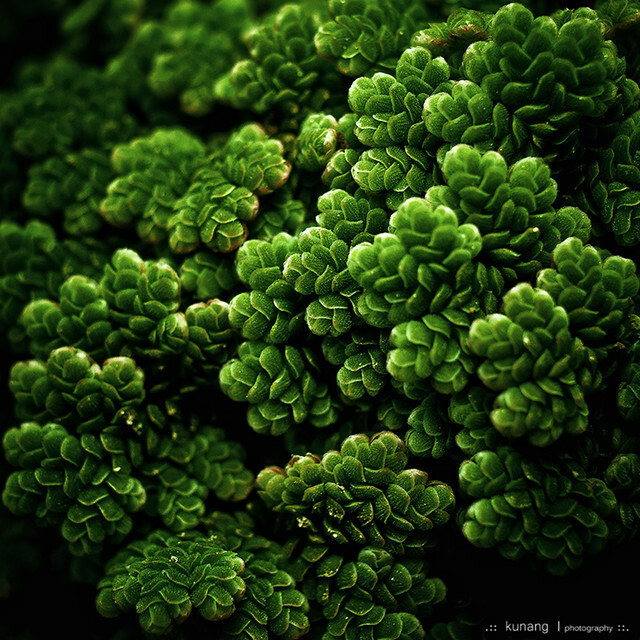 Because it is a surface plant, azolla must be trimmed on a regular basis. Failure to do so will cause it to grow thicker and thicker with it eventually covering the top of your tank and preventing any light from reaching its residents. Click the image above to learn about this top plant. With the ability to placate the appetite of both omnivores and herbivores, water spangles are the ideal floating plant for community tanks as it provides all breeds of fish with a source of food. For this reason, you should consider adding it to your aquarium if you find yourself on the road with any degree of frequency and cannot always be there to feed your fish. With multiple spangles growing up to six leaves each, this is one of the most impressive plants to observe and will captivate your visitors almost as much as your fish will. However, this plant does require specific lighting to grow indoors, so you may want to consider something a little less demanding if you are not able to commit to a setup revolving around your plants as opposed to your fish. If you’re searching for a way to enhance your aquarium both aesthetically and practically, you are going to have a hard time finding something more effective than floating aquarium plants. There are countless floating plants to choose from, each bearing its own unique set of pros and cons. Of the ten plants detailed above, one is almost definitely going to meet your needs more than the others, which is why we suggest you give careful consideration to what you hope to achieve as an aquarist before settling on one. That being said, you can be certain of a beautiful tank and happy inhabitants regardless of which plant you spend your money on.